Aleit Swanepoel, CEO of the Aleit Group, shares some of his favourite Cape Town spots. Q: Tell us more about the Aleit group of companies – what they do and where they do it? "Aleit Swanepoel is an innovator, a perfectionist and a creative whiz. He loves to work with people and discover new things, and he can’t wait to show off his latest trend-setting ideas. Of course, he’s also the founder of The Aleit Group, South Africa’s premier wedding and events coordination consultancy. 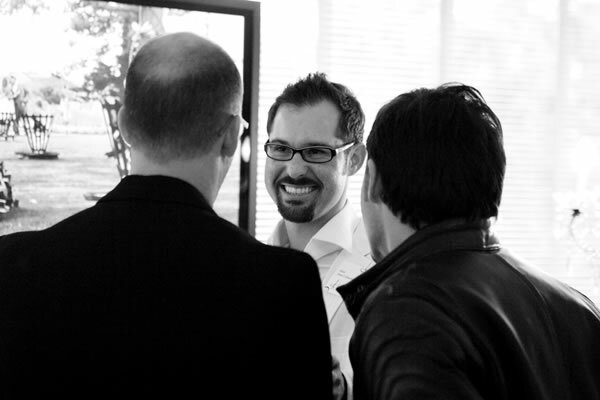 Aleit is an expert in his field and has helped to put South Africa on the map as an international wedding destination. Admired for his boundless energy and enthusiasm, he’s become something of a local celebrity and never ceases to delight his enchanted clients. Aleit built his career in the hospitality industry where he worked in several up-market hotels in South Africa and also managed a five-star restaurant in the Stellenbosch wine district. He later honed his organising abilities in the visitors’ division of South Africa’s largest wine company, gaining valuable experience in the corporate field. To top it off, he also completed a business degree and became a member of the Public Relations Institute of South Africa. In this period Aleit was involved in over two hundred weddings and corporate functions, a paltry sum compared to the number that he’s coordinated over the years. In 2002 he established Aleit Wedding and Function Coordination, driven by his passion for wedding planning and the chance to work with interesting people every day. With his combination of fresh thinking and industry experience, Aleit soon earned a reputation for creating bespoke events that capture his clients’ individuality. The company grew at a phenomenal pace and established an international client base which still accounts for 70% of business. The Aleit Academy, South Africa’s most comprehensive events coordination course. Aleit attributes his success to his energetic and talented team of planners, as well as his extensive network of top suppliers (many of whom he counts as close friends). He’s proudly South African and tirelessly promotes the spectacular venues that the country offers, from historic wine farms and endless white beaches to luxurious game lodges. Known for his charm and gregarious personality, Aleit has been featured in several publications and shows in his personal capacity, including My Week and Tuine en Tossels on Kyknet. When he’s not answering emails, meeting with clients or perfecting the tiniest of details at a wedding, you’ll find Aleit with his wife, entertaining family and friends at their beautiful home (the dinner parties are legendary). He also enjoys trawling antique shops for special pieces, travelling to interesting places or simply kicking back with a good book. Aleit’s secret talent? He’s a talented Tango dancer. Today The Aleit Group is the most published wedding and events coordination company in South Africa, and boasts regular appearances on lifestyle shows such as Top Billing and Pasella. 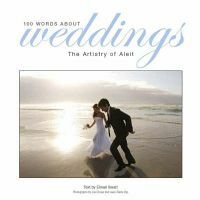 Aleit also launched his first book in 2007, 100 Words about Weddings, which became an instant best-seller. As always, he’s got plenty of ideas lined up for the future (watch this space! ), but remains devoted to his love for creating exquisite weddings. As Aleit puts it, "we all look forward to making a fabulous contribution to your special day or event - a unique, one-of-a-kind expression of your dreams and personality." 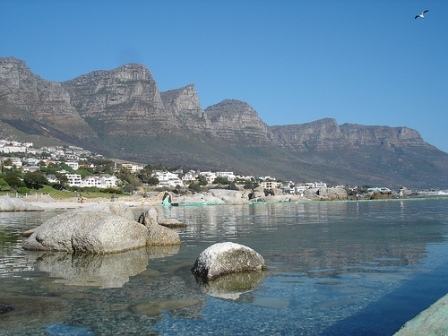 Q: One spot in Cape Town where you relax – any place. Q: If you had one day to show a friend from overseas something in Cape Town, where will you take him and why? I would take him up Table Mountain – it’s a must-see for anyone from abroad. But that MUST be followed by wine (and loads of it) at a few of my favourite spots in Camps Bay. Q: What is your favourite restaurant and which dish do you enjoy? If I’m trying to impress my wife I would take her to Overture (this place really really rocks, and the experience is always consistent), and if I was just hungry, looking for a great deal and quality, I would do Chef Pon’s in Cape Town. A good braai with Greek Lamb, Seared Beef Fillet, and the odd lamb chop is however, what I enjoy most. We can do braaing in style. Q: If you must choose one wine for a special occasion, what would it be? Graham Beck Brut Rose, but I have always been a sucker for a good Sauvignon Blanc like Springfield Special Cuvee. Q: If you must suggest a hotel / b&b / guest house to one of your friends, which one would it be? 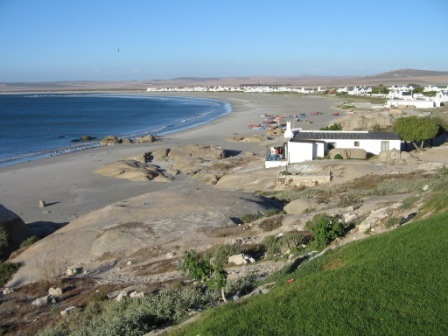 I love staying in the Greyton, Riebeek West and Paternoster areas. Best experience ever has to be Birkenhead House in Hermanus. Q: What is your opinion of all the slow / organic markets jumping up all around the mother City? If you do visit them, which one is a favourite? Q: Which beach would you suggest for a romantic walk / evening? Q: Why should someone come marry in Cape town? What makes the mother city so special? Dazzling scenery, historic wine estates and world famous wines makes the Cape Winelands one of the most sought-after destinations in the world. Host your wedding in this beautiful region, surrounded by towering mountains and endless vineyards. Then of course, our beaches: Imagine fresh sea air, the sound of breaking waves and the feeling of sand between your toes. The tranquillity and romance of beach weddings is hard to match and makes for an unforgettable celebration. And the accommodation on offer: From beachside homes to Constantia manors, there are few venues as exclusive as a luxury Cape Town Villa. Celebrate an intimate wedding in an elegant setting that offers complete privacy for you and your guests. Q: Do you have a Capetonian that inspires you? Q: What would the one mother city festival be that must not be missed? According to us there are not enough festivals on the social calendar – so we are busy coordination the most fabulous Bride of the Year Competition in association with Wedding Diary, to be held on the 03 December 2010. Watch this space for more. The social event of the year. Stellenbosch is our home…but it’s always nice to leave home now and again…best culinary experience, Franschhoek. Best "kuier", pretending I am 21 again, Stellenbosch. Q: Tell about your very first client? Where was the wedding / function held? I honestly can’t remember it was so long ago! I do however vaguely recall, that, to my embarrassment, it contained Barberton daisies!! It is eighteen years ago, when I was still working full time for Distell, running their most elite venue. The turning point was when I did a wedding ten years ago for two high profile members of Distell. That day, right there and then, I decided to cancel my MBA, and to give it a shot. Have never looked back. Q: Which food represents Cape Town for you? A home cooked meal, the way we indulged as children, in our parents homes. Q: If you become mayor of Cape Town and could change one thing, what would it be? The wedding and events market forms part of the tourism industry in Cape Town. Lots of money came into tourism as a result of the World Cup, but I would encourage the government to further promote Cape Town as a destination for weddings and events. I mean really, it is indeed bigger than golf. Our company alone, churns more than 50 million, due to overseas couples tying the knot in SA. Q: Favourite local band / artist? Nomfusi, and Mango Groove, the way they were when they started out. Oh, and Melanie Scholtz and Judith Sephuma. Geez, I am addicted to these two.